Perennials are the backbone of many a garden because of their heartiness as well as their ability to reappear with new growth spring after spring. Once established, perennials need little attention beyond dividing and thinning every few years to keep them from getting crowded or tired. Perennials are defined as plants with soft stems that generally die down in the late fall and make a comeback with new growth every spring. They typically reproduce not through seeds but through vegetative means—which in layman’s terms means through their root systems. These systems tend to form clumps, with the offshoots forming around the outside, leaving the centers to become tired and bare if left unchecked. Thankfully, this is easily addressed by lifting these clumps out of the ground every few years and dividing them. Dividing perennials is best done when they are dormant. While there are some general rules about dividing spring-blooming plants in the fall and fall-blooming plants in the spring, most perennials will do just fine if divided in the early spring just as they are emerging. The worst thing that can happen to a perennial divided at the wrong time is that it will go into dormancy and not bloom that year. As long as a perennial is divided when the soil is somewhat warm, the temperature is moderate and water is plentiful, they will likely survive. Plants will let you know when they are in need of dividing: they will put out less blooms, or even smaller ones, with the center of their plot resembling a bit of a dead zone with foliage but no blooms. When you pull the entire clump out of the ground, you’ll be able to see why, with the exterior roots visibly healthier than the ones in the center. To divide perennials, take a shovel and dig up around the perimeter of the perennial patch you want to split. Remove the entire root from the ground, shaking out as much excess dirt as you can, which will make it easier to pull the roots apart. Some plants have root systems that pull apart as easily as a cinnamon bun, while others may require a bit more effort. Doing this task when the soil is soft and workable but not too muddy will help. Dividing some roots might require hand tools such as a garden trowel or knife, and using a small ax on some roots is not unheard of. Don’t be afraid to use a tool if necessary to separate the roots; most plants are resilient and this temporary stress will result in a much happier, healthier version. The tool needed for this is dependent upon the type of root system. There are several variations on root types among perennials, including tubers, rhizomes, surface roots, underground running roots, taproots, and roots that form clumps or offsets. 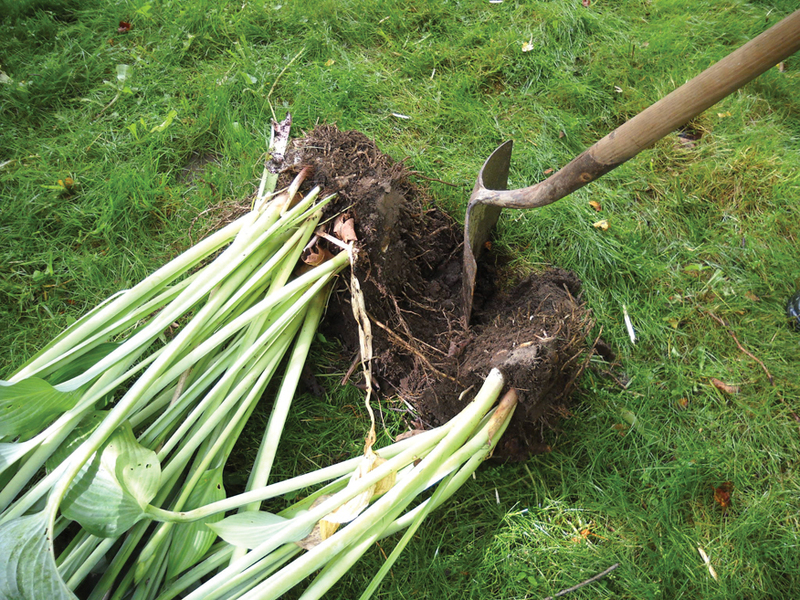 Roots that form clumps or offsets will have small plants growing at the base of a larger one, like coneflowers and hostas; these can become dense and may need to be cut with a tool. To maintain a healthy plant, keep at least three growing points (they should be easy to see, protruding from the clump) when replanting. Taproots, which are deep and vertical, do not divide well and it is generally recommended they not be divided. 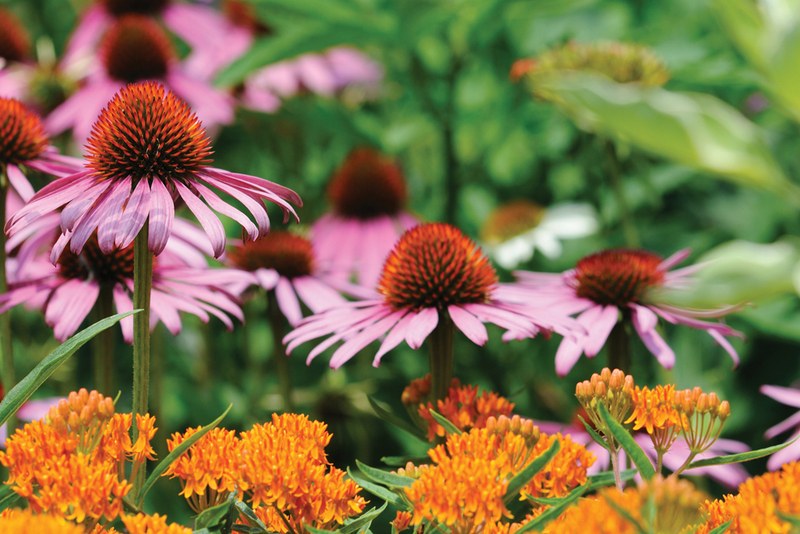 These include plants like butterfly weed, false indigo and Oriental poppies. Plants such as plume poppies and hardy geraniums with underground running roots develop suckers—smaller plants that grow off the main one—as they grow beyond the shade of the so-called mother plant. If these suckers are overcrowding the bed, they can be cut away from the main plant without any digging, although you may want to dig them up to remove the suckers directly from the mother plant. Bee balm, black-eyed Susans and creeping sedums have surface roots, running on or just below the surface of the soil. As they reach an open space, they’ll form new crowns and roots. By cutting between the stems the way you would with sod on a lawn, you’ll divide a section with its own stems and roots that can be replanted elsewhere, to create some breathing room. Bearded iris are the most commonly known perennial with a rhizome root system—a healthy one will be about a thick as your thumb with healthy roots on one end and a leaf fan sprouting from the other. Though a rhizome only blooms once, because it reproduces itself at the root, it is considered a perennial. When dividing an iris bed, anything in the center that’s weary (from the parent plant) can be discarded. Tuber roots, such as dahlias, require what is known as an eye on each division. It is from this eye—often a visible and recognizable white or pink dot on a large tuber—that the next year’s stem will come, so be sure to leave one intact on each division. Tubers and rhizomes both are best separated with a knife. Once you’ve pulled the roots apart, discarded the dead and/or diseased matter, get them back into the ground promptly to keep them from drying out. Before placing them back into the bed you dug them out of, replenish the soil with organic matter of your choice. Replenishing the soil boosts the health of your plants, and also takes up the space of the removed roots, helping the beds settle back into place. Perennials multiply exponentially; one stem this season is likely to turn into three or four next year, so keep that in mind as you divide and replant. The smaller the section, the more it will grow, so quartering (or smaller) your plant is preferable to halving it. 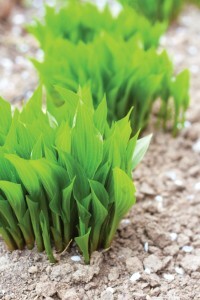 Replant at the original depth in a hole that is as wide as its roots when spread out. Don’t try to squeeze a plant into a hole that’s not big enough because you’ll defeat the plant’s natural regrowth mechanisms. 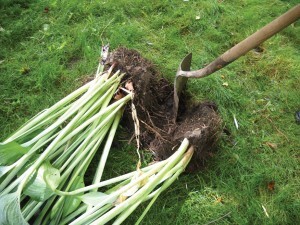 Spread your divisions out; the tops of the plants will be as wide as the roots at the time of planting. It can be helpful to place your plants with the roots spread out in the area you are replanting before completely covering the bed with soil, to gauge what the bed will look like when it blooms. You will probably have some leftover plants that you can use in another area or share with a friend. 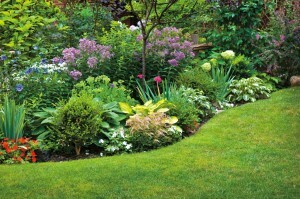 Dividing perennials is a great way to share part of your garden with friends. If not divided on a regular basis, some plants, like iris, will stop blooming. 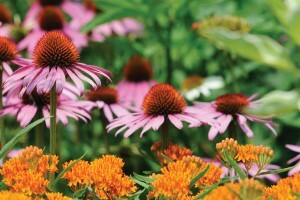 Division of perennials is necessary to their wellbeing, so while some root systems can be downright stubborn in staying put, the process is often more traumatic to the gardener than the plant. So be brave and take that shovel to that patch of perennials without fear. They’ll thank you for it with glorious blooms.